If you plan to move a shrub or tree in the fall, root prune it now. Divide perennials as they turn green. Prepare your vegetable and flowerbeds by tilling and adding compost. Plant beets, carrots, celery, collards, lettuce, mustards, and turnips. Severely prune Rose of Sharon - Althea (Hibiscus syriacus) - for better blooms. Cut back Autumn Fern. 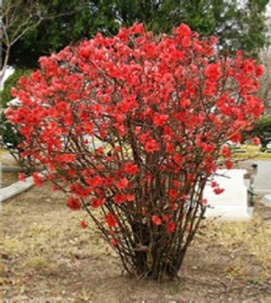 Late in the month, prune plants that bloomed in January, February, or early March, such as Forsythia, Quince, and Winter Honeysuckle. When bulbs are spent, cut off flowers (not leaves) and fertilize with bone meal. Fertilize Roses, Crepe Myrtles, Lilacs, Azaleas, and Camellias after blooming. Scalp and aerate warm season lawns. Plants in bloom are Azaleas, Loropetalums, Redbuds, Tulips, and Hyacinths. Average temperature is 43°F to 64°F. Bird Tip: A good food source for the springs is Mayhaws and Hawthorns. They bear fruit in spring. Birds love them. Plant annuals and vegetables after the 15th of April. Prune and fertilize Azaleas after they bloom. Divide overgrown perennials as they emerge. Please don't braid your Daffodils. After flowering, deadhead spring bulbs and apply fertilizer while allowing leaves to yellow naturally. Fertilize Crepe Myrtles with 1/2 cup of 10-10-10. Begin planting Cannas, Caladiums, Elephant Ears, Dahlias, and other tender bulbs when high temperatures are above 55°F. Look for aphids on your plants, and try blasting them with water, rather than spraying them with insecticides. Mark early flowering perennials that will go dormant in summer with golf tees, so you can plant late perennials or annuals alongside to have flowers for another season. Fertilize Zoysia, Bermuda, and Centipede lawns with 10-10o 10. Plants in bloom are Dogwoods, Cherries, Azaleas, Kerria. Average temperature is 51°F to 73°F. Bird Tip: Put in a birdbath. Remember to change the water frequently. 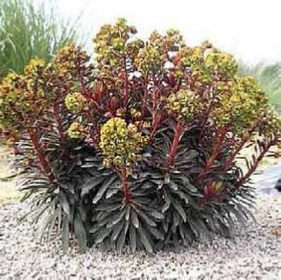 Sow Euphorbia marginate seeds early in the month. Pull out Pansies, and compost the plants. Deadhead plants as they bloom. Stake Lilies before they get tall. The longer you wait, the more likely it is that you will damage the plants. 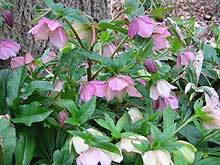 Divide perennials that bloom in the spring. Prune shrubs that have finished blooming like the Mock Orange, Rhododendron, and Vibernum. Shop nurseries and other stores after Mother's Day for great deals on Hydrangeas that are flowering or not. Plant them in your garden. To help in keeping the heavy blooms of Annabelle hydrangea upright, try self-staking: cutting the outer ring of stems in half now. Mulch now to reduce water loss and control weeds. At the end of the month, biennial Foxgloves have usually finished blooming. Pull them up and scatter the seeds. (If you have PERENNIAL Foxgloves, do not pull them out.) Foxgloves are poisonous, so be careful in handling them. Plants in bloom are Peonies, Roses, Irises, Climbing Hydrangeas, Daylilies, Foxgloves. Average temperature is 59°F to 80°F. Bird Tip: Watch for plants around birdfeeders. Sunflower hulls are allelopathic (poisonous to other plants). Black walnut is also allelopathic. Boxwoods are not usually affected by them.